**PRICE REDUCTION** Welcome home to the coveted community of Lexington at Terra Vista! 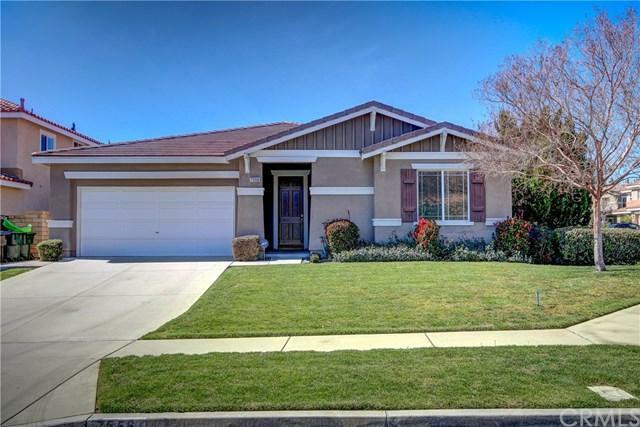 This immaculate turnkey home is set on a premium private corner location with only one neighbor in an excellent neighborhood. 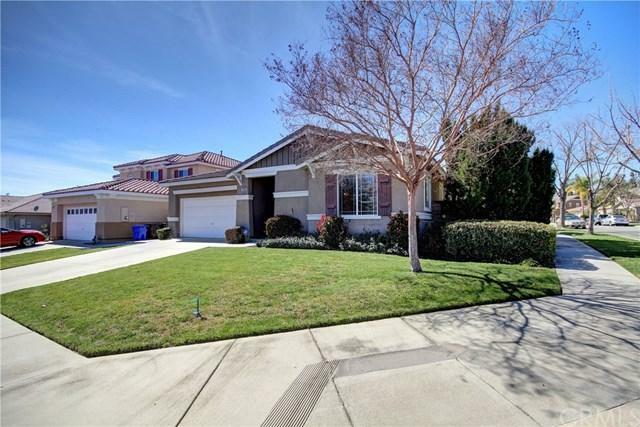 Most popular, hard to find, wide open spacious floor plan, light and bright single story home features 3 bedrooms, 2.5 bathrooms, 2 car direct access garage with high ceilings throughout. Beautiful tile flooring throughout hallway, bathrooms, living room, and kitchen keeps the house cool during the summer. The expansive kitchen features maple cabinets, granite counter tops, and full backsplash. The living room makes a striking impression with vaulted ceilings and recessed lighting. Relax and recharge in your large master suite with dual master walk-in closets. The master bathroom features a soaking tub, walk-in shower, and dual sinks. Generously-sized second and third bedrooms offer comfortable living space. Second full bathroom features dual sinks and a tub/shower combo. Enjoy your own private oasis in a lush landscaped backyard with an aluminum patio cover. New water heater, garage opener, and HVAC system installed 2 years ago; new interior paint and carpet installed last year. 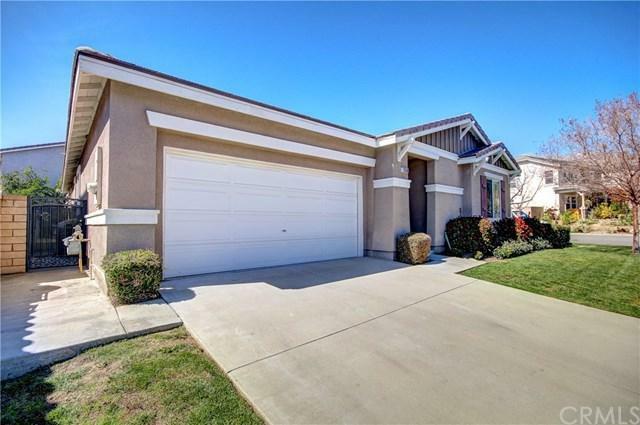 Walking distance to Gold Ribbon Terra Vista Elementary School, Milliken Park, Central Park Plaza, and Terra Vista Town Center. Minutes to shopping, dining, and entertainment at Victoria Gardens and Ontario Mills Mall. Close to all major freeways: 15,10, 60, and 210. NO HOA! Sold by Rick Bergstrom of Redfin.